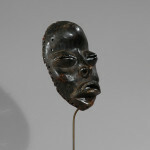 Dan masks are characterized by a concave face, a pointed chin, a protruding mouth, an upturned nose, a high-domed forehead and are often covered in a rich brown patina. 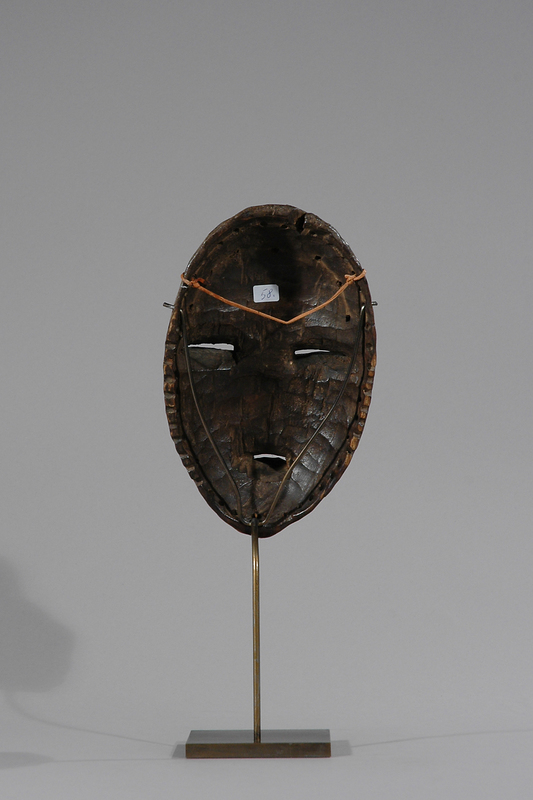 Similar masks are found throughout the country, but regional stylistic variations occur. 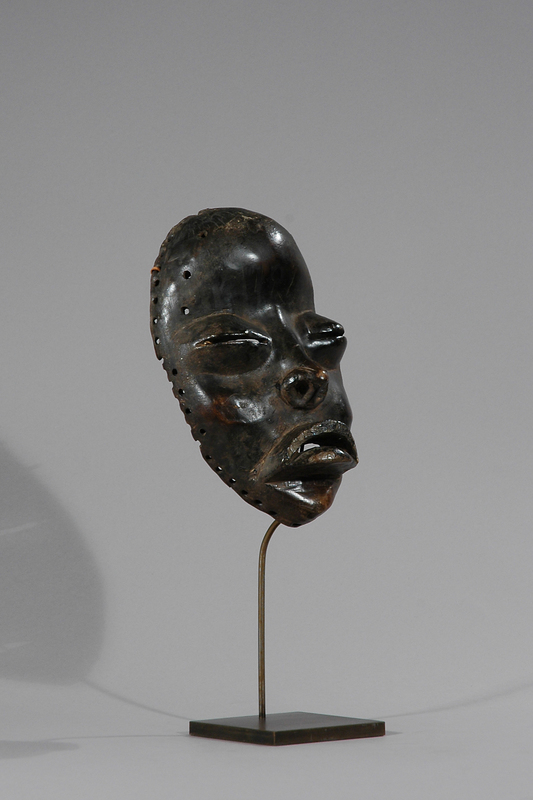 For example, northern face masks tend to have very fine features, a high-domed smooth forehead, eyes set in the middle of the face and a very smooth brown patina obtained by immersing the mask in a pool of mud. 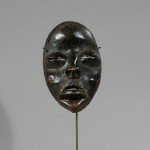 Southern masks, on the other hand, have protruding features and a rougher patina obtained by applying vegetal pigments. There are a variety of Dan face masks, each of which has a different function. 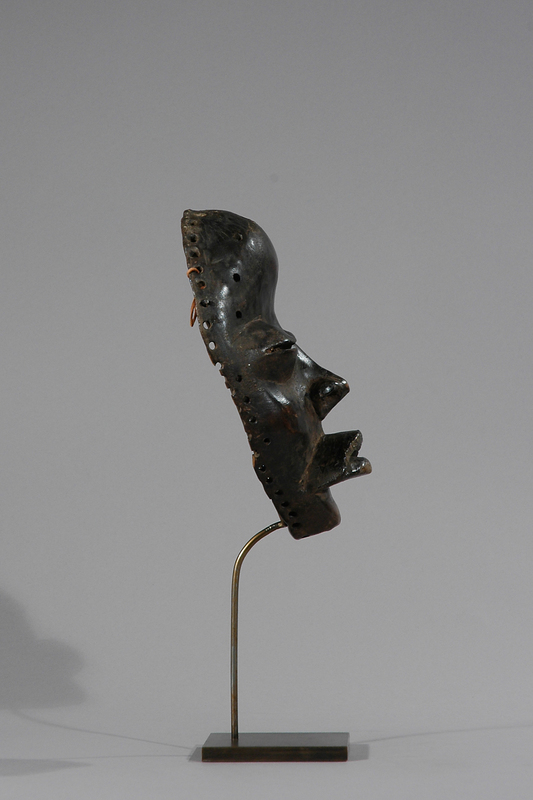 Many of the dance ceremonies held by the Dan tribe are festive multidimensional occasions. The spreading of tribal news, glorifying ancestors, reviving ancient tales, ridiculing and penalizing wrong doers, along with the appropriate singing and dancing are a few aspects of a ceremonial gathering. 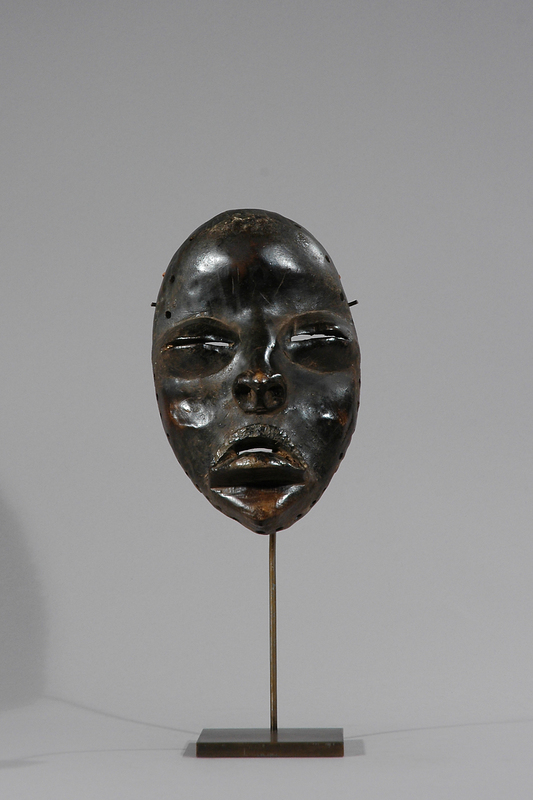 The participants in the affair have their roles dictated by the mask that they are allowed to wear. It designates their part. 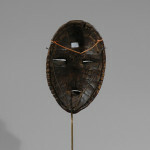 Simply put if it is a singing mask they sing a dancing mask they dance and so on. Provenance: Private Danish collection. 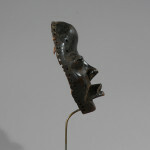 It was either acquired directly from Lau (Laurence) Sunde’s collection in Copenhagen, which dates back to the 1940s, or Lau (Laurence) Sunde was an adviser to the collector. Sunde had a “Etnografica” boutique in 1948, that became recognized among collectors as the most specialized boutique of its kind at the time. 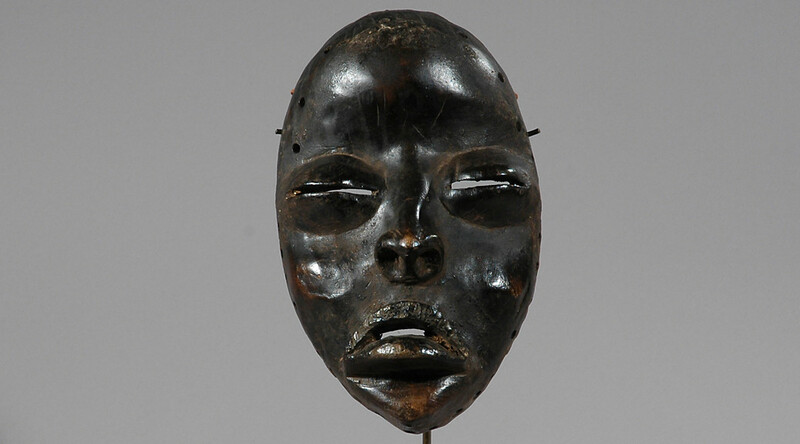 Tribal and oriental artefacts were purchased from private collectors as well as at auctions in Paris, Amsterdam and London, among other places. Full description of Lau (Laurence) Sunde will be forwarded by request.